When THEY come, it won't be pretty. Lumbering, decomposing creatures with a human aspect and a surprising turn of speed. The zombies are an infestation. They'll eat everything alive in their paths. They are after your brains and won't bother to kill you before they take a bite. And if you don't die? Ah! What then?! You will become one of them, devouring all until the end of times. So it's better all round not to be taken. 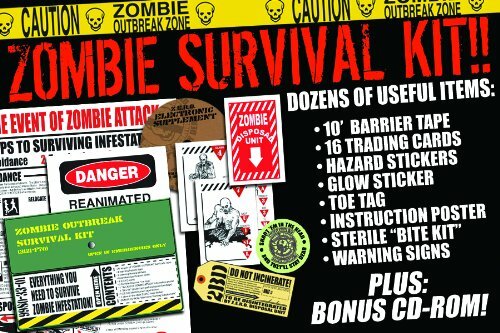 How will YOU defend yourself in the Zombie Apocalypse? Wizzle dedicated to Sareyva and Jackie, with whom I will survive! My friend Sareyva had created a music playlist for the Zombie Apocalypse. The fact that the oncoming infestation had so obviously occupied her mind made it play on mine. Jackie and I were now working out how we could defend the second room in which we currently sat. The door could be deadlocked from the inside. It had only a thin strip of perspex glass set within a thick slab of wood. We could cover that up. The zombies wouldn't be able to see in. They wouldn't even know that we were there. "Unless they have a good sense of smell." Jackie commented, pensively. I thought that was a silly concern. Zombies are notably living corpses. Surely any remaining nasal capacity wouldn't even be able to power the requisite messages to its rotting brain. For completion sake, we checked on the internet. Zombies have an excellent sense of smell. They can scent humans from miles away. Only the end of the world as we know it (and we probably won't feel fine). The Epic of Gilgamesh dates from around 2150 BCE. 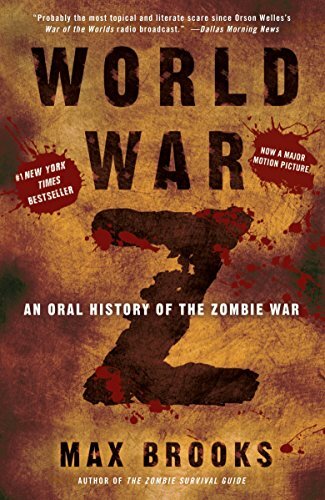 It mentions zombies. That is how long human beings have been worrying about this. Love really will tear us apart. If that ancient text is to be believed, the Zombie Apocalypse will come when the Goddess Ishtar smashes in the doors to the Netherworld. The resultant flood of animated corpses will be unstoppable. They will out-number and feed upon the living. And why? Because Gilgamesh turned down the Goddess's proposal of marriage. No fury like a woman scorned, as the old saying goes. Knowing the origin of the infestation will be of no immediate comfort to us, when the horizon is filled with the hordes of the undead. But it might be something to discuss with your fellow Home Guard while you're waiting to be devoured. It also provides our first tip on what to do. Pray! Print out the photograph of the Queen of the Night and create some kind of altar. Then petition the Lady Ishtar with the following words, "Ishtar, please, please, please put the Netherworld doors back up. Thank you. Amen." Maybe you could also offer the best looking male in the vicinity to be Her husband instead. Warn him in advance that turning Her down is not a great option. Ishtar spoke to her father, Anu, saying: "Father, give me the Bull of Heaven, so he can kill Gilgamesh in his dwelling. If you do not give me the Bull of Heaven, I will knock down the Gates of the Netherworld, I will smash the door posts, and leave the doors flat down, and will let the dead go up to eat the living! And the dead will outnumber the living!" Fellow Wizzley author Sam has written a great introduction to this ancient epic story. 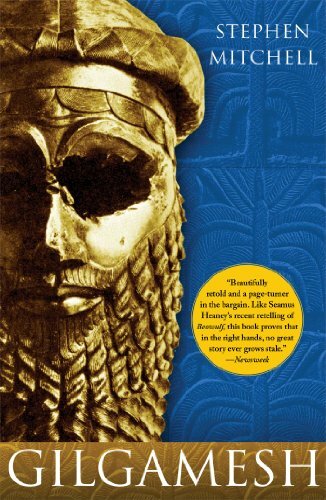 I was a teenager when I first read the 'Epic of Gilgamesh' and more then 30 years later this, perhaps oldest surviving, epic poem still fascinates me. What are We Up Against in a Zombie Invasion? Decomposing animated corpses, which are single-mindedly attempting to eat our brains and bone marrow. Death makes us one of them. As the living dead lurch into our world, every person, animal, insect, bird and fish in their paths becomes food. But this isn't just a case of hunter and hunted. Even accounting for the unpleasantness of being torn apart and devoured, the worst is yet to come. For death does not bring an end. We become zombies too. Our one consolation here is that we'll be so mindlessly focused upon violently eating our loved ones, that we'll not have the self-awareness to watch ourselves slowly rotting. Stage One: Looking a little pale and green, but having all bodily movement. Stage Two: Starting to rot, eye-balls sliding down cheeks, that sort of thing. Stage Three: Little more than an animated skeleton, which loses bits as the last tendons and muscles decompose into snapping. Until that happens, the zombie will be trying to reach its victims. The slightest scratch, bite or drop of blood will infect the poor soul, even if they managed to get away. A new zombie will be 'born'. They will go on, out-numbering and overwhelming the whole world. Stop thinking in terms of one-on-one battles for survival. What is at stake here isn't solely the breakdown of civilization; nor even the wiping out of the human species. Zombies will destroy everything alive on the Earth. Buy these guides so that you can do your homework. Research and get prepared to save yourself and your family. The total and utter annihiliation of my species might be on the cards, but I'm not going without a fight! The only way to survive the infestation is to stay alive. In order to do this, you will need to make some necessary preparations. 1, Find somewhere defensible to become your shelter. Zombies have been known to climb stairs and ladders, as well as have super-human strength. They don't worry about little considerations like losing limbs or other body parts along the way. They either feel no pain or else don't react to it. Therefore you will want somewhere with reinforced doors and another exit. You don't want to be trapped in there. Perhaps a high place with a helicopter parked on top would be ideal. 2, Store enough provisions to keep yourself and your loved ones alive. Nipping to the supermarket or hardware store is going to be nigh on impossible. Even relying on sustenance from the land is dodgy. 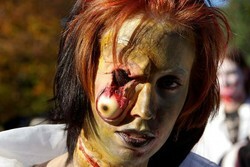 A zombie traipsing through a stream or river will leave their infection within it. For this reason, it's better not to trust the water in your taps. You don't know what's been in the reservoir or water treatment plant. Tinned food (and a can-opener); bottled water; long-life milk (especially if there are Britons around, as we'll need it for a nice cup of tea. No Briton can fight zombies without a nice cup of tea waiting); bedding; blankets; spare clothes; toiletries; batteries; matches (preferably waterproof); wind-up or solar powered radio (the power will be down, but there might still be people trying to broadcast information); First Aid kit; and medication should all be stored there. If, like my friend Sareyva, you have created a playlist for the Zombie Apocalypse, remember to pack something to play it on. Otherwise, you will be fighting for your life in silence. 3, Arm Yourself and Practice Fighting for your Life. 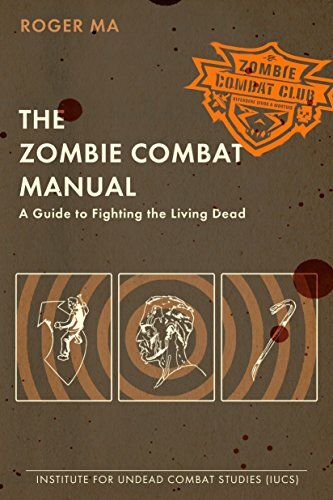 The books above or the Wizzley article below will give you all the necessary information on self-defense against zombies. You should seriously consider your own personal circumstances though. For example, it's all well and good learning techniques to save yourself, but what if you happen to be carrying a baby at the time? Roger Ma's book does include a section on that. Also think long and hard about your pets. Imagine a scenario where you left your goldfish in the tank, while you fled your shelter to escape entrapment. Then you return, all looks safe and well, until you come to feed the fish. It only takes the tiniest nip to your fingers from a zombie goldfish before you are one of the living dead too. Be warned! Want the Walking Dead or other lumbering monstrosities to help you keep track of the days? Calendars featuring zombies of all hues (mostly grey) are right inside. I hope that I've given you plenty of food for thought, in order to stop your thoughts becoming food. 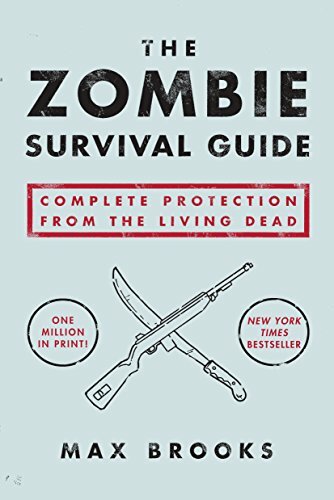 If you have any tips of your own for surviving the Zombie Apocalypse, then please do tell us about them in the comments. We are in this together. Unless, of course, you're British, in which case it's the usual: Keep calm and carry on. Good luck everybody! For thousands of years, Aborigines have been chronicling terrifying meetings with the Hairy Man. Since 1790, other Australians have been too. Nicely prepared there! I'm probably staying here. My Dad's an electrician, so he's going to put some kind of electric fence around the house. This will be in addition to the treadmill booby traps. I'm hoping it'll keep us safe. Sound secure to you? Tip, hot off the press - install a treadmill all around your house. Zombies haven't the wit to step off it, so they will never be able to get to your front door. i can't take the credit for that one. My friend Jackie told me she'd read about it in her research. It depends upon how the zombies are created. If it's through scientific means, as in 28 Days Later, then the living dead are very fast and unstoppable. They have all of our abilities, coupled with massive shots of adrenaline. They will be hard to out-run. If it's an Ishtar-induced opening of the gates to the Netherworld, then we can expect the lurching lack of speed. They can be easily out-run, but will hunt in packs. The biggest problem, of course, is that they are so numerous and they don't have to stop. We have to sleep at some point. Scary stuff. But I'm glad that you and your son have done your research in preparation for this. Good luck! My son and I watch The Walking Dead and that has helped prepared us for the Zombie Apocalypse. I'm not British so I won't have to bother with the tea at least. Zombies have been portrayed as being either sluggish and loping along or very quick in a chase - which is correct? 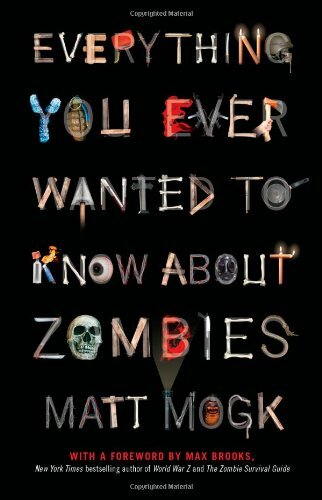 Why Do We Fear Zombies? Zombies hold such fear and fascination for human beings that preparing for their Apocalypse is practically a meme. But why are we so afraid of zombies? Imagine a garden display, framed by beautiful flowers and greenery, wherein you can enact the Zombie Apocalypse with undead garden gnomes. Great, isn't it?